Acrylic Angel Scroll Saw Pattern. 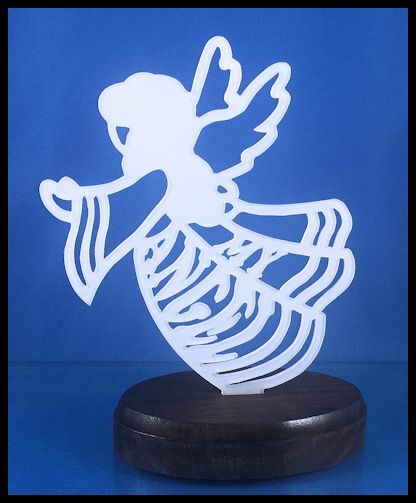 This angel was cut from an .093 in. acrylic sheet. These sheets are sold at most big box hardware stores such as Home Depot. I like the Optix brand the best. The sheets are transparent when purchased. The piece was painted white on the back. The front is left clear and the paint shows through. 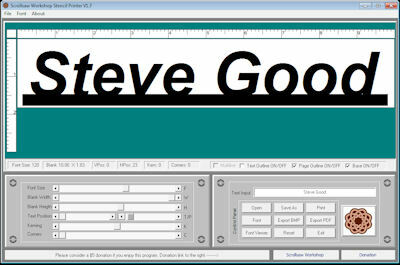 This give the piece a gloss effect that you can't see in this picture. 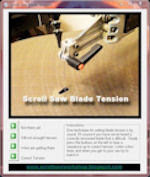 I like to use a skip tooth blade for cutting acrylic. You don't want to use a reverse tooth blade for this acrylic. The reverse teeth tend to grab the thin plastic making it easy to break a piece while cutting. You want to purchase the correct spray paint for plastic. 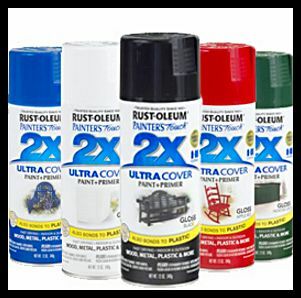 I use the Rust-oleum Painters Touch 2X. It sticks to acrylic well. I do use a fine sand paper you rough up the side that will get the paint. It gives the paint some tooth to stick to. 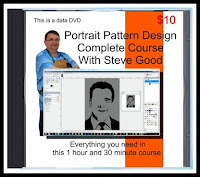 The pattern book has complete instruction with pictures for cutting and painting acrylic. There are many patterns in my catalog that you could use acrylic with. 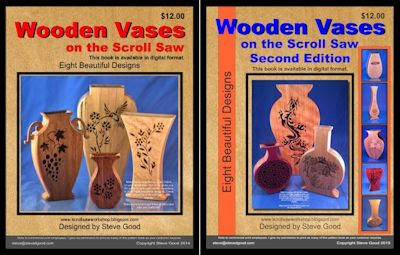 Thank you to all the people who have purchased the Wooden Vases on the Scroll Saw eBooks. 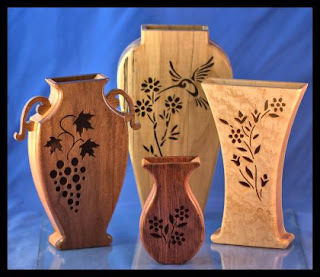 These wooden vases are unique pieces that will make great gifts for family and friends. I receive lots of compliments for these patterns. They are easy to make and look beautiful when finished. Video tutorial on how to make the small wooden vase. The technique is the same for all the vases. You can purchase the DVD that includes both editions for $19 plus shipping at this link. 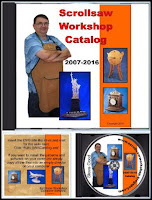 You can purchase the individual eBooks(digital download) for $12 apiece at this link. 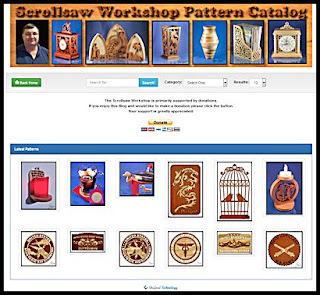 You will be able to download the ebooks immediately after purchase. 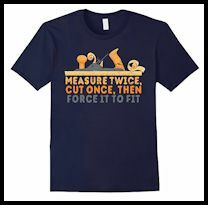 Any woodworker knows you should measure twice so you only have to cut once. But then a lot of times, even when you measure twice, it still doesn't fit...so you just have to make it work! These tee shirts are a great gift idea for men, women, and kids. 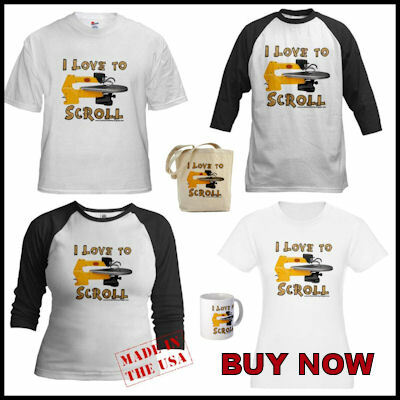 This t-shirt makes a perfect present for a birthday, anniversary, graduation, Christmas or any other gift giving occasion. An excellent tshirt for guys and girls of all ages. 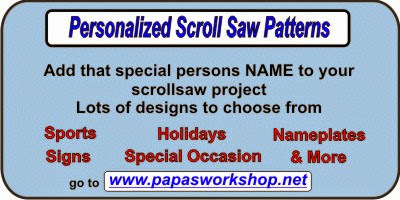 Large Leaf Sculpture Scroll Saw Pattern. Large leaf sculpture. 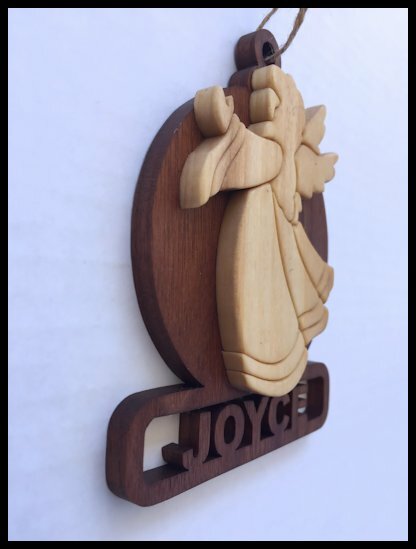 This project can be cut entirely from 3/4" wood. Feature: Every post for over ten years. 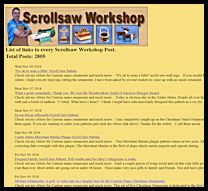 Here is a link to every Scrollsaw Workshop blog post for over ten years. The list currently has 3,083 posts listed. This is just another option to quickly look through the titles of every post. The titles are linked to the original post on the blog. 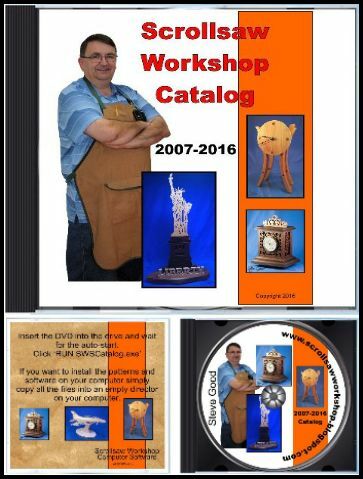 I will be attending the Artistry in Wood Show this October 14th and 15th 2017. The show will be held in Wilmington Ohio at the Roberts Centre. The show is Hosted by the Dayton Carvers. 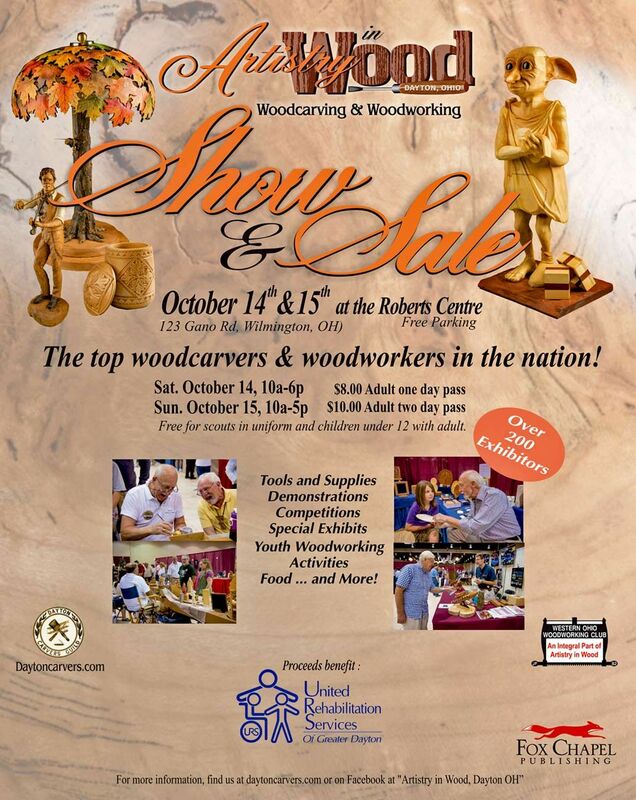 This is the largest wood carving show in the United States. 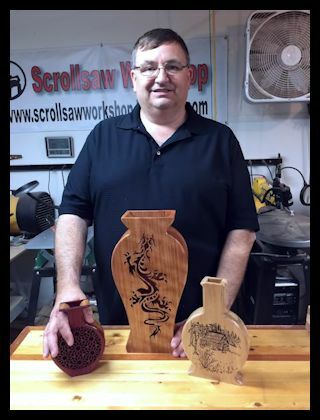 Hopefully we can give the woodcarvers inspiration to visit the unique opportunities of the scroll saw. I will be hosted by Seyco.com. 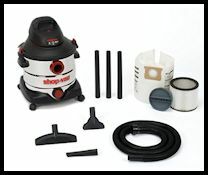 Seyco will be there with their new Seyco ST-21 scroll saw. 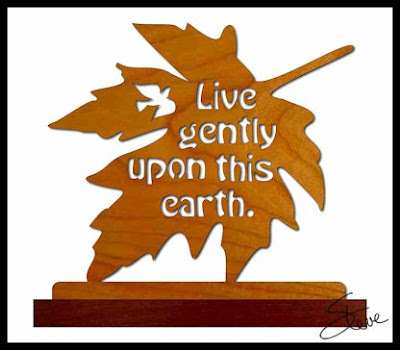 I believe that Judy Gale Roberts will also be attending with her incredible intarsia products. 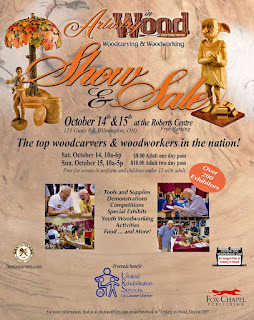 If you want to see some of the best woodcarver in the world, plus Judy Gale Roberts and Seyco, set your calendar. If you will be within traveling distance I would love to see you there. Stop by the booth and say hi. 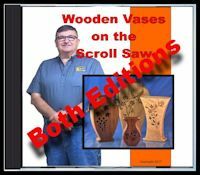 Get both "Wooden Vases on the Scroll Saw" Books on DVD. You can whittle just about anything—the only limit is your imagination. It’s so easy to get started in this relaxing and rewarding hobby. All you need is a knife, a twig, and this book! 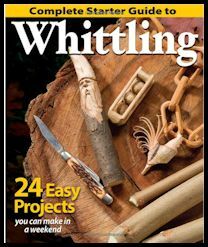 We’ve assembled a team of 12 leading woodcarvers to bring you a complete starter guide to whittling. They present 24 easy whittling projects that you can make in just a weekend, complete with step-by-step instructions, how-to photographs, ready-to-carve patterns, and helpful tips. 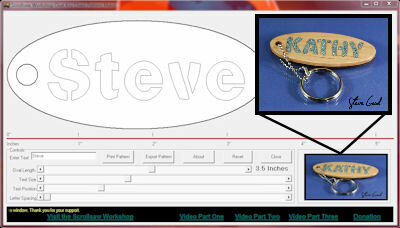 Pro Football Super Fan Display Scroll Saw Pattern. It's just about time for Football. 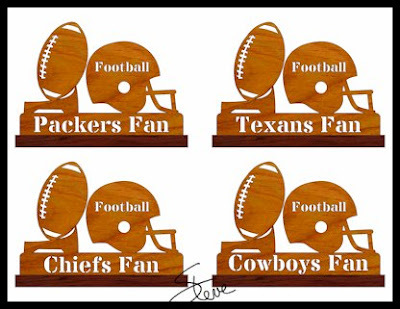 Need a gift for a football super fan. Give them one of these 32 Fan displays and a box of hot wings. Now that's a good Sunday. The events in the south of the United States are just awful. We are witnessing the worst flooding in the history of the U.S. Rain is being measured in feet. That's impossible to imagine. My heart goes out to all the people who are being impacted by this storm. Please be safe. 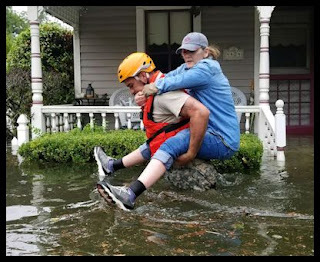 To all the rescuers who are risking their safety to help. Thank you. We all need to rally to help support the people who are going to spend years recovering. Many have lost everything. If you have the means please find a legitimate organizations and donate what you can. I will be donating through www.samaritanspurse.org/ . I have done my best research and decided this is where I will be sending my money. Here is their rating on Charity Navigator. Do your research and try to help. I received these two pictures tonight and wanted to share them with everyone. 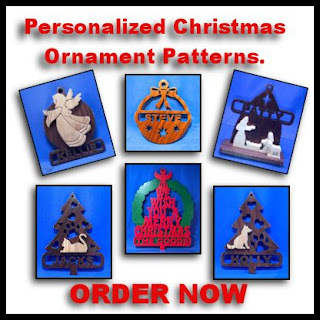 Richard ordered some of my Personalized Christmas Ornament Patterns a few days ago. I believe this one was for his wife. The reason I wanted to share the picture is because he nailed the contouring of the angel. Look how even the lines of the contouring are. This is what I call the pillow effect. It looks fluffy and beautiful. This is a great job Richard. Thanks for sharing. I wish mine looked that nice. I was able to get caught up on orders tonight. 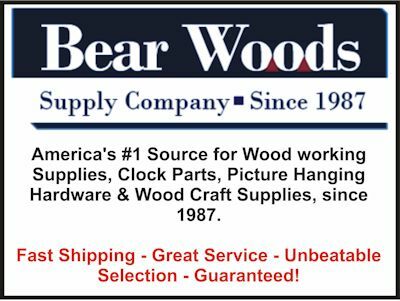 If you have not received your order please check your spam folder. 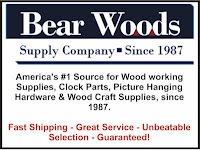 If they are not there send me an email and I will resend the order. Thanks again for all the orders.